The Zoo will close at 5 p.m., and then reopen at 5:30... this time for adults only! 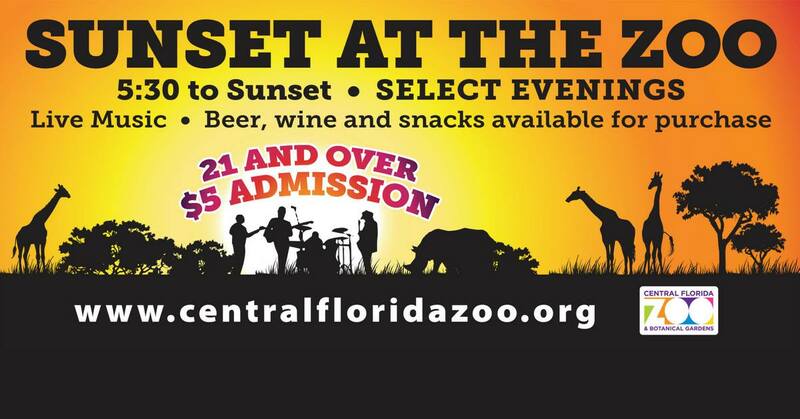 Live music will set the scene as you stroll through the Zoo during this local alternative to your standard happy hour! Admission is only $5! No advance tickets required. Ages 21 & up ONLY. Beer, wine, and food will be available for purchase. Sunset at the Zoo occurs on the 3rd Thursday of the Month, March-October.